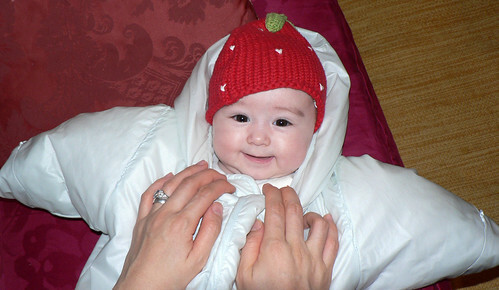 Chiara often dislikes being bundled up in her snowsuit, but tonight she seemed to like it just fine! that’s the cutest strawberry headed starfish i’ve ever seen! The boys at daycare better watch out for that one, very cute!